Thanks to the volunteers, supporters and sponsors. Such a colourful welcome to the village for both visitors and residents returning home. 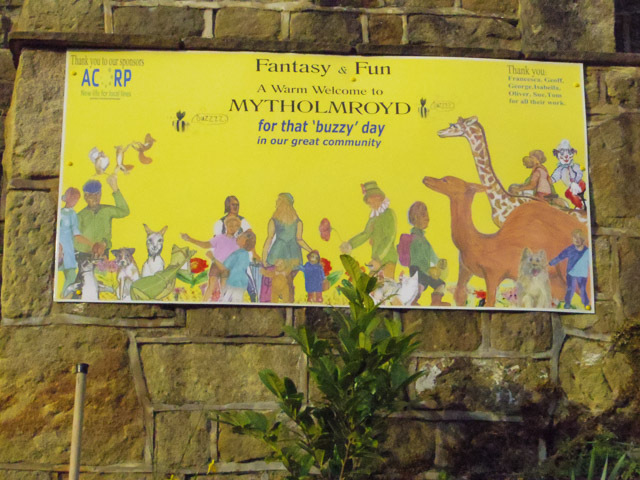 The cheerful Fun and Fantasy montage created by our Hon. Secretary Sue. Thanks to ACoRP (Association of Community Rail Partnerships), Northern Rail and local young artists – Tom, Isabelle, Franchesca and Oliver. for a fantastic team effort. 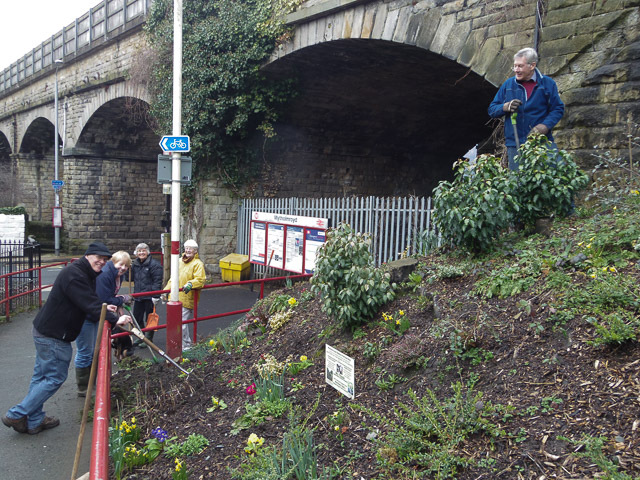 Our station gardening sessions are usually on the second Friday of the month at 13.30hrs for one hour – and during the summer on the fourth Saturday at 10.00hrs. Now we have Graham, Judith, Dian, Sue and John having a (short) break from preparing the Coming and Going Garden.